Incorporating your non-dominant side into your training will not only help you become a better athlete, it will also help prevent injury. Performing with your non-dominant side will enhance skill and give you more efficiency in your movement. 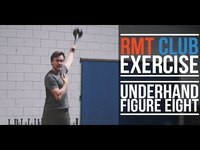 These videos outline non-dominant side training to improve strength, coordination, balance, and more.